Back in July, Robert Pattinson told Howard Stern that he and his then fiancé FKA Twigs were actually just “kind of” engaged, and it looks like he meant it. 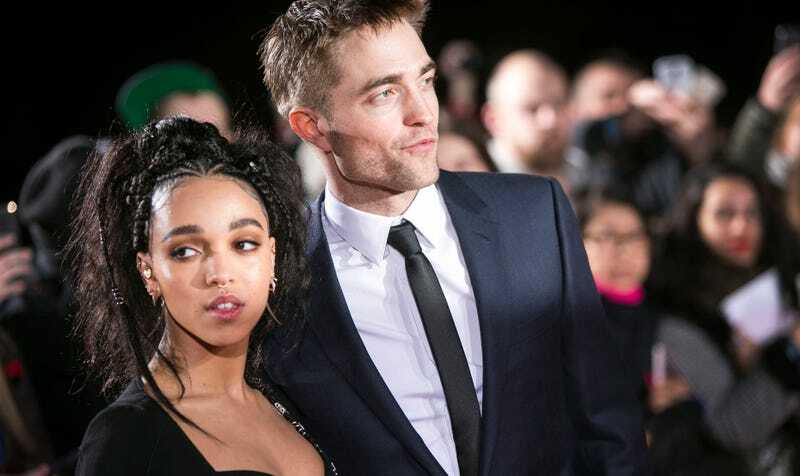 The Sun reported on Thursday that Pattinson and Twigs have called off their engagement and broken up after three years of dating. Rumors that the couple had called it quits were further provoked when FKA Twigs was spotted in August without her engagement ring. Per the Daily Mail, around the same time FKA Twigs engaged in suggestive hair snuggling with a French model. It took me three tries to realize “bump” referred to their pregnant family members. First I thought they spent a night not doing small amounts of drugs. Then that their faces must be free of blemishes. But no, just some abysmal headlining. Jane Fonda looks magnificent in this reportedly unretouched cover shot for Town & Country.